Where does the horse belong? Where the sheep or the cow? 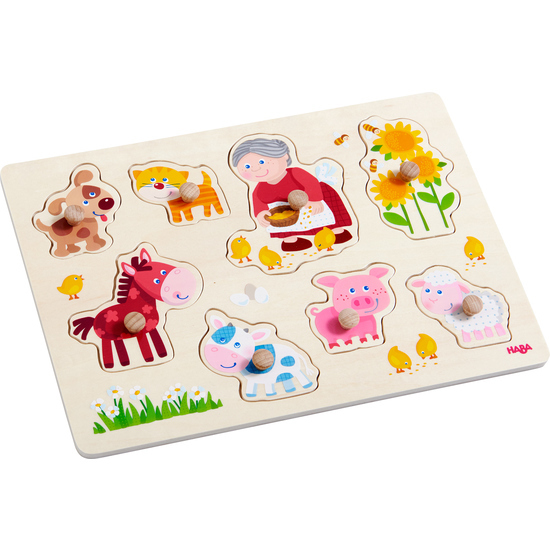 This premium clutching puzzle lets even the smallest child enjoy puzzling their favorite animals into the puzzle frame, assisted by the large, easy to grasp knobs.